Why wait around for Google's driverless cars when you can take the driving out of your hands right now? 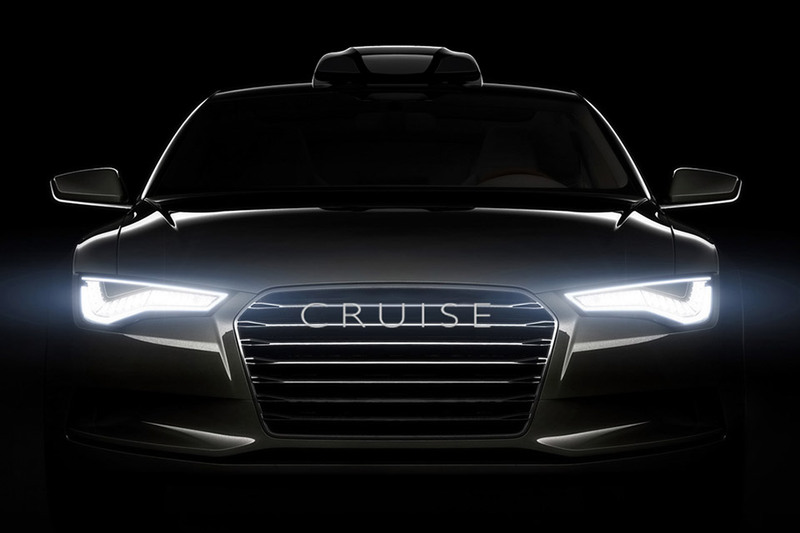 The Cruise RP-1 Highway Autopilot can't get you in and out of the parking garage, but what it can do is completely replace the cruise control in your 2012 or later Audi A4 or S4, using a combination of RADAR, cameras, GPS, and inertial sensors to make sure you stay in your lane, a safe distance away from the car in front of you, and even stop you if you encounter traffic. It does so by controlling the steering, throttle, and braking, getting you one step closer to being able to stare at your phone your whole commute home. Bring a little piece of the Internet into your real-world living space with the LaMetric Smart Ticker. This nifty little gadget sports a slim, sleek build, a speaker for letting you know when it's updated, and a face that's dominated by an 8x8 pixel logo and a 29x8 pixel white information screen. What goes on that screen? Pretty much anything you want. Thanks to a built-in Wi-Fi connection and a nifty companion app, you can display anything from the weather or time — how boring — to countdown tickers, fitness metrics, facebook likes, stock prices, email subjects, live PayPal balances — you get the picture. And thanks to a trio of buttons on the top, you can tap your way through a few options if you get tired of seeing how many people didn't like your last Facebook post. Let's face it: as cool as the Oculus Rift is, its limited utility makes it a tough sell for the price. But what if there was a way to make a VR headset for just a few dollars? Well, that's exactly the idea behind the Google Cardboard VR Headset. Using nothing but cardboard, a couple of lenses, a couple magnets, velcro, a rubber band, an app, and some very simple instructions, you can transform your Android handset into a full-on VR viewer, provided you don't mind having a piece of cardboard hanging off your head as you "ooh" and "aah" your way through the available demos. One of the biggest strikes against Google Glass — if not the biggest, really — is the extremely odd looking hardware. While it still features the rather huge box, camera, and floating screen, Google Glass Titanium Eyewear does look quite a bit more normal than its predecessor. This new collection includes three different frames — Bold, Thin, and Split — that arrive with Glass and a UV lens clip, and can even be outfitted with prescription lenses to give you the best excuse we've yet heard for not taking them off. One of the biggest impediments to progress in the 3D-printing space is finding reliable and renewable sources for filament — the material used to print objects — but the Ekocycle Cube 3D Printer uses filament made partially from post-consumer PLA like that found in plastic bottles. 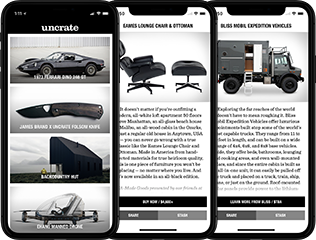 This lets you create incredible, unique works of art and everyday items from stuff people frequently just throw away. You can design and print objects on this 3D printer using the included smartphone app, or choose from a number of already-existing designs. Either way you're contributing to the growing maker culture, while keeping your impact on the planet at a minimum. That sounds like a win-win. There are all sorts of gadgets out there to help us track our activity — but what about what we're drinking? Meet Vessyl. This ingenious piece of drinkware automatically recognizes what beverage you've placed inside it, allowing it to keep track of things like calories, caffeine, sugar, and fat ingested, and your overall hydration level via a system called Pryme. A slick, built-in hidden screen can show you basic info, and for a more complete view of your hydration habits, simply pair it with your iOS or Android device via Bluetooth and let the companion app handle the rest. You took your time in selecting the right axe for your style of play, so give it the accessory it deserves with a Tanner Goods Troubadour Guitar Strap. Made to order by hand in Portland, Oregon, these handsome straps are made from 5.5 oz. Horween Rich Chromexcel leather that's sure to develop its own patina over time, adjust to fit any body or style of play, and feature keyhole cutouts on both ends for attaching to strap pins, as well as an included nylon cord for grabbing the neck of an acoustic. It might not improve your ability to play, but you'll at least look the part.